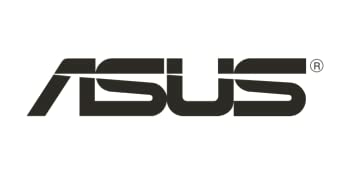 Delivering the latest NVIDIA Turing gaming experience in its purest form, the ASUS Dual GeForce RTX 2080 Ti melds performance and simplicity like no other. 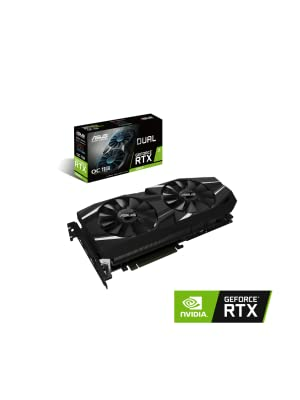 Leveraging advanced cooling technologies derived from flagship STRIX graphics cards, the Dual GeForce RTX 2080 Ti opts for substance over style, the perfect choice for a well-balanced build. Buckle up and engage cutting-edge gaming prowess. 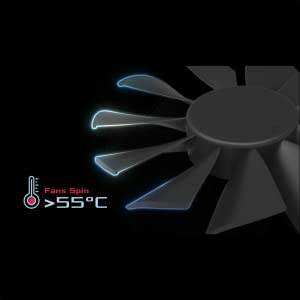 Wing-blade Fans deliver high air pressure, reduced noise levels, IP5X certified dust resistance, and 0dB mode for silent gaming. 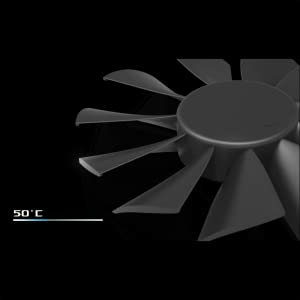 Our Wing-blade fan design is cool and quiet with 105% greater static pressure over the heatsink compared to traditional axial fans. IP5X dust resistance seals the fan's internals from particle ingress to keeps things running smoothly. 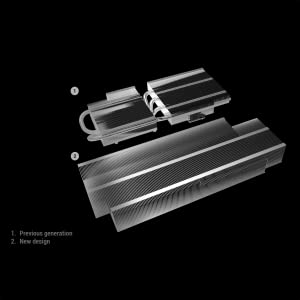 We've increased the overall surface area of our cooling array by over 50% compared to last gen. Our latest design gives you a lot more thermal headroom for overclocking. 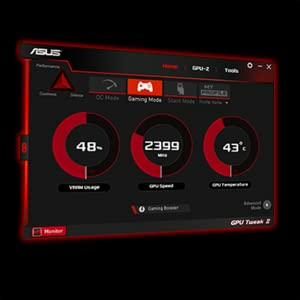 Also, the extra heat dissipation keeps your fans running at lower speeds while you game. 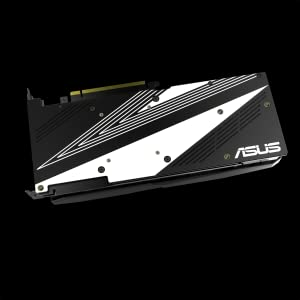 The Dual GeForce RTX 2080 Ti's densely packed PCB is reinforced by an aluminum backplate that adds structural rigidity, helping to prevent PCB flex and protect components and trace pathways from damage.